Potential renters always cringe at the thought of an apartment credit check. As a potential renter yourself, you are familiar with the uneasiness. Renters with all types of credit scores feel it, too. Those who have a good credit score could have had some hiccups in the past. Renters with a poor credit history may have found themselves unapproved before. Most of the time, potential renters like yourself are unprepared and do not know what lenders are looking for. This is the main cause of fear. Read on to learn the top apartment credit check factors landlords consider. Firstly, a landlord seeks identity confirmation through an apartment credit check. They affirm identity in multiple ways. You will need to provide your current and past addresses along with your full name. Have certain documents such as birth certificate, marriage license, and social security card handy. Some landlords even request names of current and past employers. Gather all of these documents and information to fully prepare for your apartment credit check. Landlords also consider previous landlord references in apartment credit checks. Many landlords are wary of renters who claim that they cannot provide references. Tenants often trick landlords into believing that they are currently living with family members and do not have any references. Many times, such renters get approved. Landlords learn the hard way that they actually had bad experiences with apartment renting in the past. For this reason, landlords are very adamant on obtaining references. If you had poor experiences in the past, it is best to be honest with your landlord about it. Inform them on why your experiences were negative. Explain how you plan to improve this next experience. 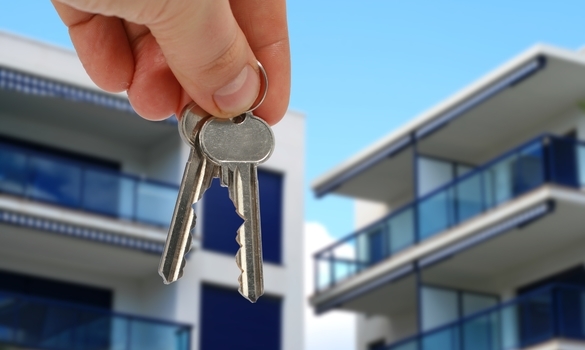 Regardless, be prepared to supply a landlord with references in an apartment credit check. Another factor that a landlord considers in an apartment credit check is proof of income. As with any lender, income confirmation is crucial. Landlords want to ensure that you will be able to make your monthly payments on time. This factor also benefits potential renters who suffer in other areas of a credit check. For instance, consider a renter who has poor credit. This lender recently got a new, higher paying job and can provide proof of it. A landlord will see this and could use it to offset their bad credit score. Furthermore, a renter with a substantial income has a better chance of achieving an excellent credit score in the future. Landlords look at proof of income to get a better idea of your financial situation. Landlords also look at late payments in an apartment credit check. To a landlord, a series of previous late payments is a major red flag. This is even more true if the consistent late payments occurred recently. Be prepared to undergo questioning if you have previously paid your bills late. Such bills can include more than just apartment rent. Some landlords consider all types of late payments including electricity bills to auto loans. Understand that landlords do not take late payments lightly. Renters who have bad payment histories could end up not getting the apartment of their dreams. Consider developing a better payment history before applying to rent an apartment. Finally, landlords recognize bankruptcy status in apartment credit checks as well. A landlord will want a copy of your bankruptcy record if you have one. The record shows any accounts and companies involved in your bankruptcy. Landlords still consider potential tenants who have discharged bankruptcies. They are less of a risk to them than renters with pending bankruptcies. Landlords typically refuse tenants with pending bankruptcies. Such tenants are likely to be relieved of their financial obligations. Those financial obligations would include rent and landlords would not receive their payments. When considering filing for bankruptcy, many ask themselves, “What does bankruptcy do?“. Find answers to this question before filing. If you do not have a pending bankruptcy, you can still pass an apartment credit check. As a potential tenant, you do not have to fear an apartment credit check. However, you should look into the best credit repair strategies to improve your credit score. Afterward, learn what apartment credit checks entail so you can prepare yourself for them. Landlords check for proof of identity through multiple forms. You will have to provide any previous landlord references. They also desire proof of income to guarantee timely payments. Late payments are penalizing and must be included in the check. Lastly, landlords consider bankruptcy status. Now, you understand the main factors landlords consider in an apartment credit check.